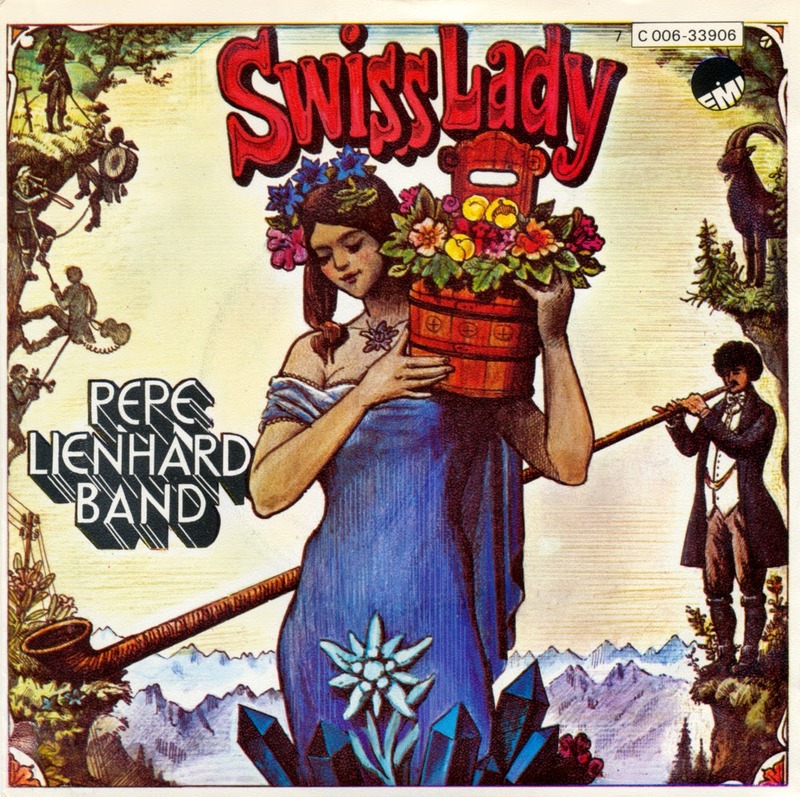 In 1977, Switzerland was represented in the Eurovision Song Contest by the Pepe Lienhard Band. It remains the only Swiss entry to have ever reached number 1 in the official Swiss singles chart. It has to be said, the song has aged well, and the B-side of this single isn't half bad either. Another remarkable fact: this single was actually made in Sweden. The song is about a man from the mountains who plays the alphorn and considers this instrument his "Swiss Lady". The song was performed twelfth on the night. At the close of voting, it had received 71 points, placing 6th in a field of 18 competitors.